The division rival Los Angeles Dodgers and Colorado Rockies will meet on Friday at Coors Field. Despite the absence of ace left-hander and three-time Cy Young Award winner Clayton Kershaw, the Los Angeles Dodgers are off to a fast start. They are sitting atop the National League West after going 5-2 on a season-opening seven-game homestand. the Dodgers will play their next seven on the road beginning this afternoon. TV: 4:10 ET, SportsNet Los Angeles, AT&T Sportsnet-Rocky Mountain (Colorado); LINE: Dodgers -130 O/U: 10 -110. Los Angeles has been relentless on offense. They have scored 49 runs in its five victories while leading the majors with 18 home runs through Wednesday’s games. The Rockies are set to play their home opener after snapping a four-game slide in the finale of a seven-game road trip. They secured a 1-0 victory in 11 innings at Tampa Bay. Chris Iannetta hit an 11th-inning blast on Wednesday accounted for only Colorado’s second run in four games. Los Angeles put up 18 runs in the season debut for Maeda. He worked 6 2/3 innings and allowed three runs on five hits. All the runs came via solo homers. He made eight appearances (three starts) against Colorado last season and posted a 1-1 mark with a 1.96 ERA. Iannetta is 5-for-14 with a pair of homers against Maeda. Maeda has limited Nolan Arenado to 3-for-24 with 13 strikeouts. He has not shown any signs of being fazed by pitching at Coors Field, going 4-1 with a 3.19 ERA. Enrique Hernandez has hit safely in all seven games and is batting .435 with three homers and six RBIs. 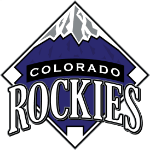 The Rockies, Anderson made a career-high 32 starts and finished 7-9 in 2018. He struggled in his 2019 debut at Miami, lasting five innings and gave up five runs on nine hits. He saw plenty of the Dodgers last season. He made five starts and compiled a 1-1 record and 3.58 ERA. The youngster held them to a collective .228 batting average. Anderson had few answers for Justin Turner, who is 13-for-28 against him. He also has fared well at Coors Field with a 3.73 lifetime ERA. Colorado is batting .197 as a team and has hit only two home runs.